Vietnam has many festivals and in each festival, we will enjoy different activities and try a different special cuisine, It’s also important as Tet Holiday, Mid-Autumn Festival is well known for children who enjoy most of the myth in Autumn. Every corner of Vietnam has this festival but I think that Autumn Festival Attractions in Hanoi must be worthy of coming. In this festival, people usually eat mooncakes. 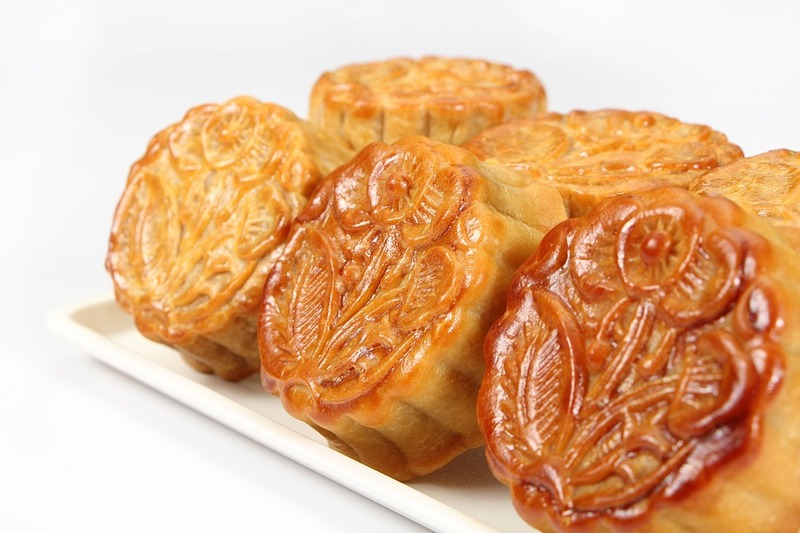 The reason why these delicacies are called mooncakes may be due to the fact that they are usually consumed during the Mid-Autumn Festival which can otherwise also be known as Mooncake Festival. 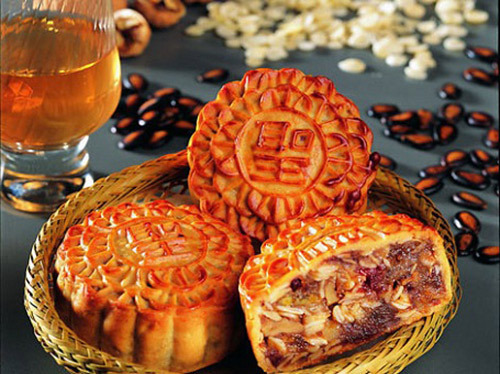 In the past, mooncakes were usually eaten while admiring the mid-autumn harvest moon. They can be baked, steamed or fried and go best with oolong or jasmine tea. As many people use mooncakes as gifts, bakers and producers are constantly improving their designs and flavors to attract more buyers. In Vietnam people usually make the two most common types of mooncakes which are called Bánh nướng and Bánh Dẻo. “Bánh nướng” (Baked mooncake) is made from wheat flour, cooking oil, and simple syrup boiled with malt. After being filled with various combinations of salted egg yolk, dried sausage, mung bean paste, salt, sugar, cooking oil, sugared pig fat, lotus seed, watermelon seed, it will be brushed with egg wash, then baked in the oven. The egg wash will protect the crust of the cake from drying out and create the aroma of the cake. The cakes have to be rotated constantly in the oven to prevent burning. “Bánh dẻo” (Sticky rice mooncake) is easier to make than “Bánh nướng”. The crust and filling are pre-cooked. The crust is made from roasted glutinous rice flour, pomelo blossom water or vanilla and simple syrup. 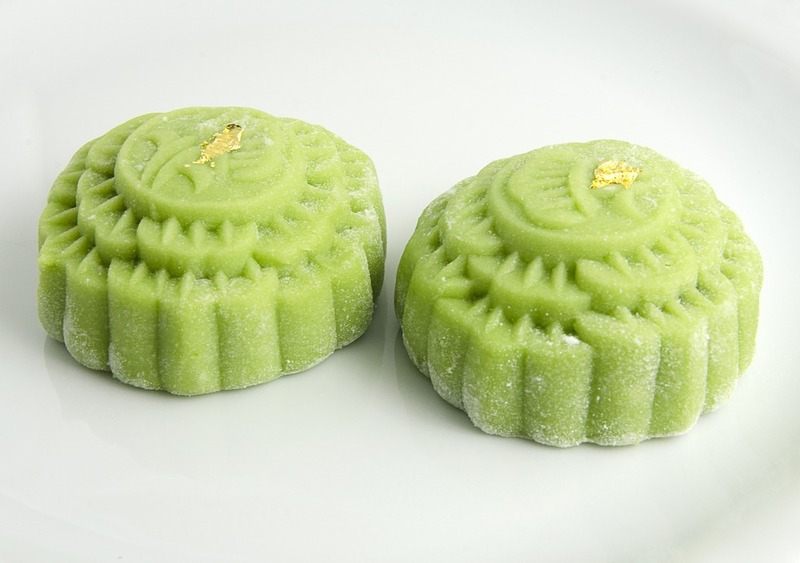 After malaxating rice flour, fillings similar to that of baked mooncake is stuffed inside the crust and then the cake is put into the mold dust with a thin layer of flour to prevent sticking to fingers. The cake can be used immediately without any further steps. 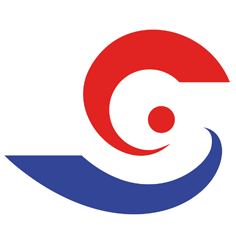 The festival is coming soon, what are you waiting for more but choose yourself some days experiencing our Hanoi Tours.